Urban witchery takes a shift forward with a wretched mix of wild synths, bat cave drum machines, neurotic bass lines and a harpy’s singing. In this hut, built far from the safe road with bricks of catchy and powerful pop songs, toxic electronic waves and dark chants, NUN blends 80’s waves with macabre loops and temptation in the form of siren songs that made me happily wander off the trail. So what have we got? We have simple and catchy loops that make you both happy and dizzy at the same time with their sweet poison that vibrates in your mind throughout each song, lasting from two to five minutes each. The heart beats faster and faster with each passing song, where the singing, especially in the song “Kino”, resemble more a chanting of an old spell coming to life through NUN’s ritual in the form of potential dark pop hit. 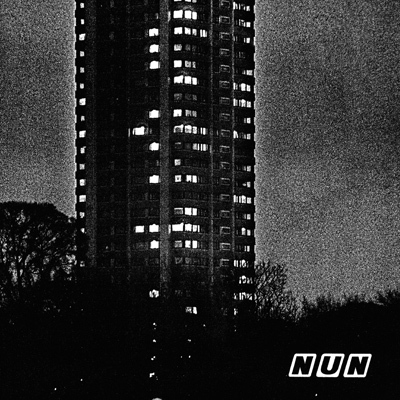 NUN’s self titled album is a real gem in the rich and surprising arsenal of Avant! Records.